Where everyone is someone and Jesus Christ is Lord! Here at TCM there are many opportunities to get involved. We have weekly and monthly groups and meetings for all ages and stages. You are welcome to come along to any of these to see how we seek and serve the Lord during the week. For starters, our house groups are open to everyone and are the ideal way to get to know individuals better in a small group setting. We also run groups for ladies and for men, for students and young people. For the very young we run two toddler groups each week. 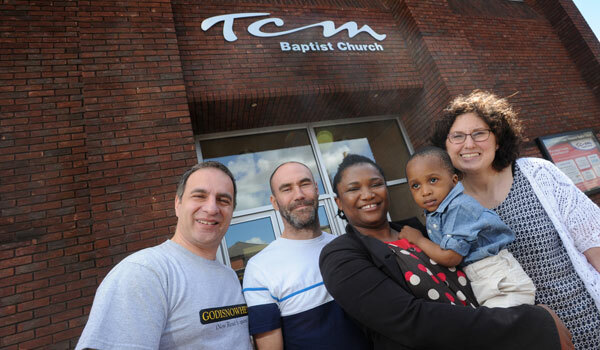 TCM also has various teams, the members of which seek to serve the Lord in a variety of practical ways. Some of these are ‘behind the scenes’, such as the External Fabric Team or the Publicity Team. Others are more hands-on, such as the Student Team or the Welcome Team. We hope you find some areas of worship and service that are of interest you, and invite you to join us in our church life.